Free Admission!! !We're very excited about our next show this coming Monday 26th September. Since launching our MONDAY NIGHT MONTHLY residency at Bad Bob's in Temple Bar we're having a blast playing to packed houses and brilliant audiences.Why not join us on the last Monday of every month and experience the atmosphere and the sound of a full 17 piece swinging big band. We're complimented every week by a choice of leading Irish vocalists and best of all it's free!! 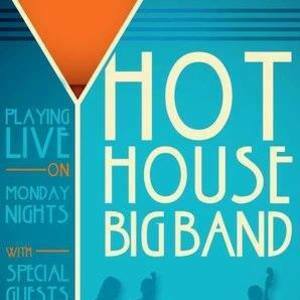 Check out this recent review .....http://www.livemusicmovement.ie/#!reviews/zwmfqIreland's Hottest Swingin' Big Band will be playing the last Monday of every month at Bad Bob's Bar in Temple Bar.